The winds of change, they are a-blowin'. Federal Politics this year has been dominated by the spectre Climate Change. What should we do we do about it? Will the Carbon Tax have any effect? Somewhat inexplicably, we're even arguing over whether Climate Change is really happening. In NSW, Coal Seam Gas has been a hot issue. The Greens have, not unexpectedly, had a great deal to say on the topic. 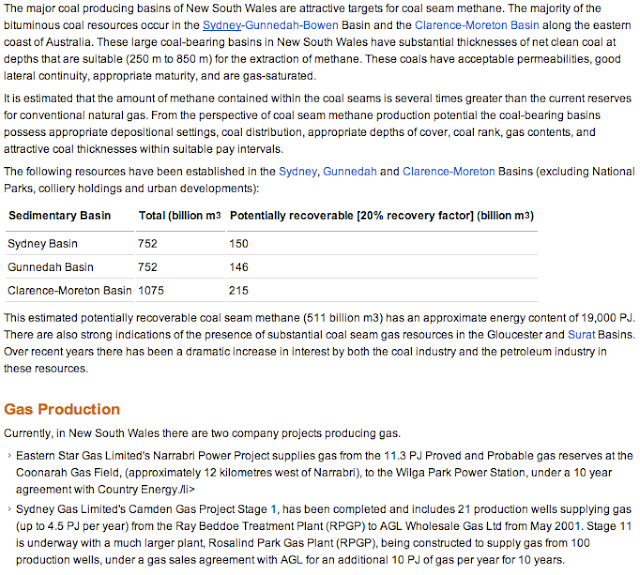 The has been an Coal Seam Gas Inquiry touring the state for some time, and a final report is due in April 2012. Copies of some of the submissions and transcripts can be found here. This website has a great deal to say about the dangers fracking poses to the environment. Earlier this month the government extended the moratorium on fracking, the process by which coal seam gas is extracted, to April this year. Whilst O'Farrell made some promising commitments in the lead up to the elections, some prevarication in the months since has caused concern. The anti-fracking brigade has even found unexpected support from Alan Jones, not a man known for his environmental concerns. Wind Farms are another issue altogether. On one hand, there is a view that wind farms are an essential source of renewable energy, a vital part of the process of freeing us from the tyranny of coal power. To others, they are a woefully inefficient, expensive and unreliable. But that's not been the complaints that have lead to the most recent proposal. 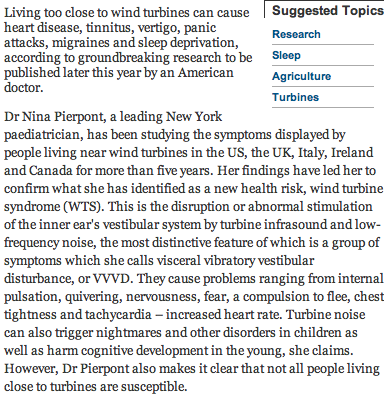 There are all sorts of conspiracy theories about wind farms. Those theories are almost entirely bunkum. But this hasn't stopped O'Farrell taking action. A proposal was released earlier this week that would make give NSW the strictest rules on wind farms in the country. I don't propose to address those in detail today, because it's Boxing Day and the cricket is on. But suffice today that the move is a little striking. Why is the government so tough on wind farms, where the fears are based on little more than junk science, and yet so non-committal on CSG which poses such unambiguous risks? Could it be that the coal seam industry is run by big mining interests, which the wind industry is in its infancy, and clearly carries far less clout in NSW? Could it be that rather than basing decisions on good policy and ideology, the government is basing decisions on political expediency? Could it be that O'Farrell cares more about convenient headlines than doing the right thing?